Presented by Felix Gummer, Director at Sancroft; Phil Langham, Head of RBC Emerging Markets Equity | Click here to listen to the webinar. Listen to this recorded webinar hosted by RBC titled ‘The Anti-Plastic Revolution’, held as part of RBC’s Emerging Markets ESG Webinar Series. 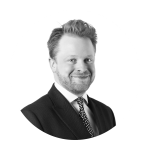 Our Director, Felix Gummer explores the roots of the current plastics agenda, and seeks to offer succinct strategic advice for businesses and investors as to how they should be navigating the plastics landscape. Felix seeks to address the pertinent risks for businesses and their investors, and also to identify where opportunities for forward thinking companies lie. He provides some key next steps as to how businesses can factor their plastic and wider resource usage into a compelling ESG strategy, and how investors should be assessing firms’ commitments.